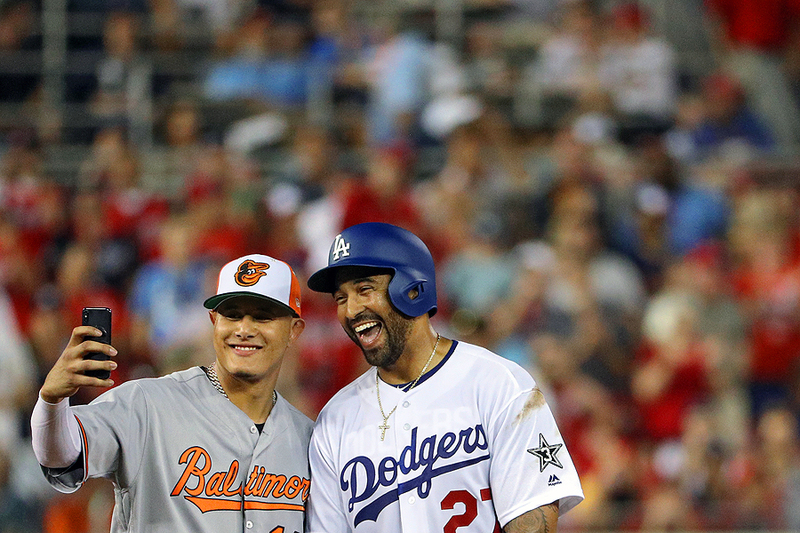 "Manny Machado #13 of the Baltimore Orioles and the American League and Matt Kemp #27 of the Los Angeles Dodgers and the National League pose for a selfie in the second inning during the 89th MLB All-Star Game, presented by Mastercard at Nationals Park on July 17, 2018 in Washington, DC." The world of sports often means players being traded, though even to the media, that can be quite a hidden process. Manny Machado, now formerly of the Baltimore Orioles, was rumored to be traded for most of the current season. No one really had a hard confirmation of where he'd land, nor when. However, a few hints led everyone to believe he'd land with the Los Angeles Dodgers including the above moment. Players never have their cell phones on them during play. However, being the the MLB All-Star game, anything goes. Machado was traded shortly after confirming he got the first picture of himself with a new teammate.